Orders received are noramlly processed the same working day or up to a maximum of 24 hours. Orders placed on a Saturday or Sunday will be processed the following Monday. Who should I expect to receive the package from? All orders below 1Kg are sent via Royal Mail. Above 1kg we despatch via UPS. 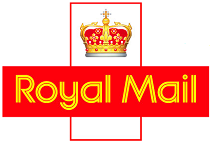 We send domestically using either Royal Mail 2nd Class or Royal Mail 1st Class. Therefore, your order should be received the next day after dispatch notification if 1st Class is chosen otherwise it will be 3-5 days. However, Royal Mail make the declaration that this is not a guaranteed time and can take longer in unusual circumstances. Overseas, orders are dispatched using Royal Mail AirMail or Royal Mail International Signed For. Delivery times are normally 5-7 working days within Europe but this is not guaraneed and can take up to 28 days depending on the country. All isolatioare platforms are made to order in our UK workshop. These are normally dispatched within 5-7 working days of receipt of order. You will be notified by e-mail when items have been dispatched. All isolation platforms are shipped via UPS. Within the UK, delivery times are guaranteed to be within 48 hours of dispatch excluding weekends and bank holidays. Delivery is within 1 to 2 working days from placement of order and will be delivered via TNT. All deliveries will be despatched to your shipping address and will have to be signed for.